Just wanted to make a quick post letting y’all know I’ve got a facebook page [click here] if you’re feeling extra kind and give it a like! I’d love to support each other so leave your pages down below too so I can like them back. I follow all fellow bloggers back on social media! 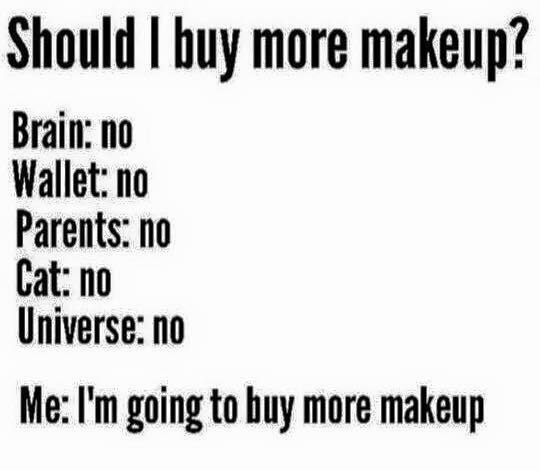 Just had to share this funny picture with you all that my friend tagged me in – the struggle is real, but a little more can’t hurt…right? ;). How many of you can relate? HAHAHA! Okay, so how cute is this post card? I just love the overall colour scheme and the perfume is amazing (sadly I don’t own it, but I have smelt it before, not to mention the packaging is gorgeous!). 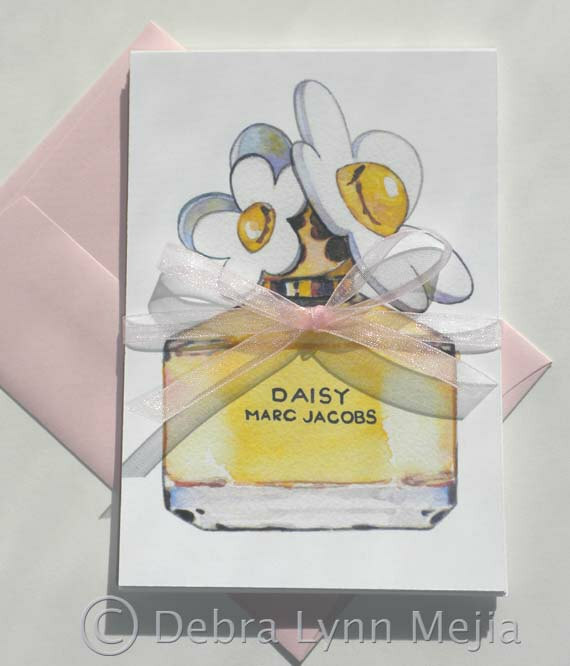 This is perfect for sending a post card or a gift to someone – you also get 10 in a pack with complimentary “pink lemonade” envelopes and pink ribbons as seen in the picture. This one is definitely my number one pick! Ever in a dilemma of how to present & wrap presents nicely? (Story of my life.) These gift tags are cute and affordable. 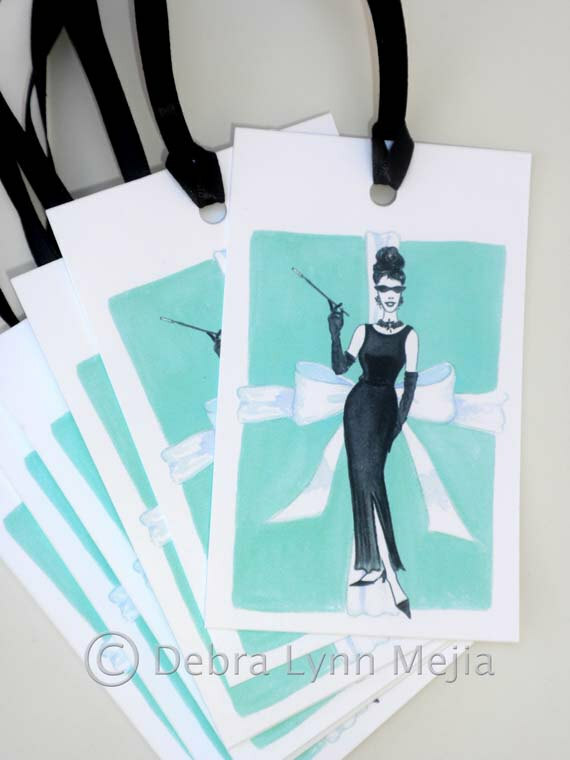 I love the illustration of the posh lady and even more so the birds eye view of a present behind her, which definitely accentuates the theme of the gift tags and just looks plain adorable. 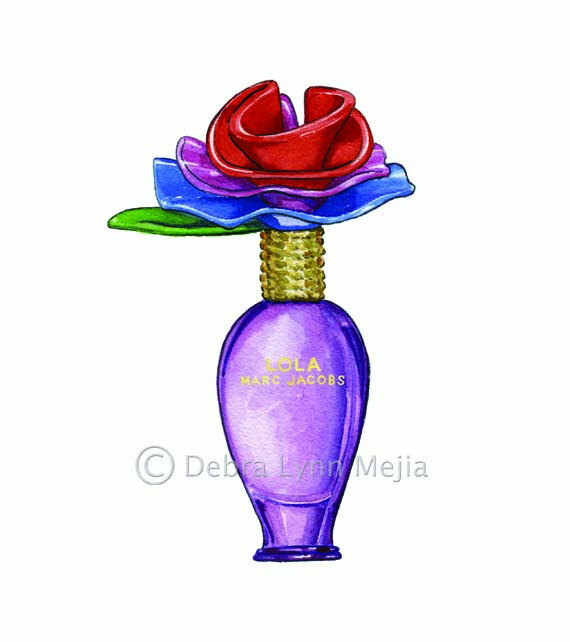 Lola by Marc Jacobs Perfume Bottle Watercolor Art – Print 5 in. x 7 in. I chose to feature this artwork (as well as the others) as they all would be perfect for decorating your vanity corner or even your room. I love the vibrant, eye-catching colours in this painting and definitely think it would add a little spice to your otherwise empty walled room. 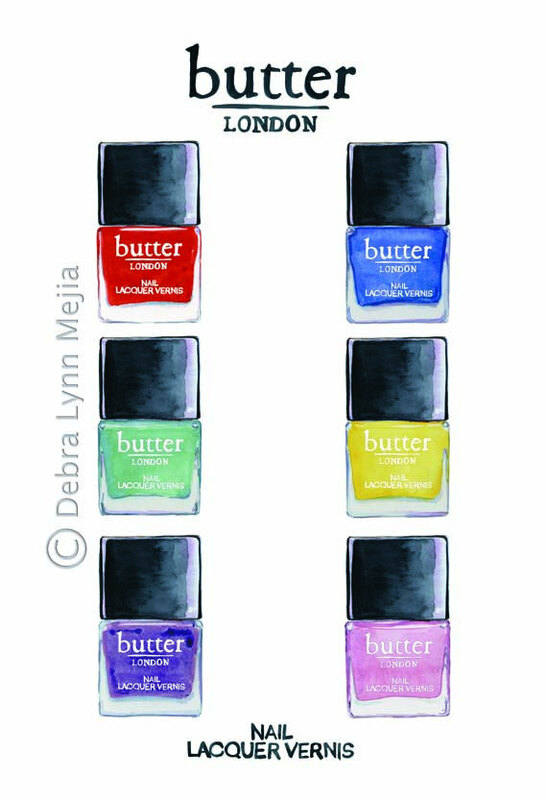 Butter London Nail Polish Watercolor Art Print-13 in. x 19 in. This one would probably have to be my second favourite piece from Debra, as I am a nail fanatic – I absolutely love doing my nails and trying all the cool nail art out there (anyone else?). This work would look gorgeous above your nail polish cabinet/shelf (if you have one) or just anywhere around your room. I love how it has a variety of nail polish colours and just makes it fun to look at. These also are available separately, for example if you just wanted a painting of the red nail polish, it’s available in her store. 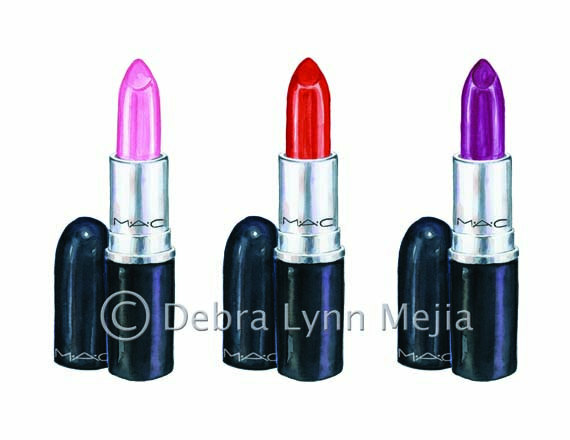 MAC Lipstick Trio – Pink, Red, Purple – Watercolor Print 8 1/2 in. x 11 in. Lastly, a piece which truly show cases your love for makeup, especially lip sticks! This piece is cute and quirky, once again perfect for your vanity corner. I love the variety of colours depicted in the painting, which makes it aesthetic. These are also available in separate pieces. Also she has got an offer for the month of February, which offers free shipping to all US residents. The coupon code is: FREESHIP10. Let me know which piece was your favourite! * These pictures are not owned by me, they are owned by Debra Lynn Meija. This is a sponsored post. Sorry about this random and quick post – but I just wanted to say I recently have become obsessed with twitter (anyone else?). So leave your twitter usernames down below so I can follow you or just follow me and I’ll follow you back (@amyxh_) – I love reading (and stalking in the least creepy possible way 😉 ) all your tweets, hehe! So let’s connect so we can chat and DM all day ;). Be sure to leave your links down below so I can follow you too! First of all, HAPPY NEW YEAR to all you gorgeous people! I can’t believe how fast 2014 flew by, and I also cannot believe 2015 is the year I graduate. Time is flying by so fast. I hope that 2015 is a year of success, blessings and happiness for everyone. Once again, happy new year and please go ahead and tell me what your new year’s resolutions are down below.